One of my absolute favorite meals! 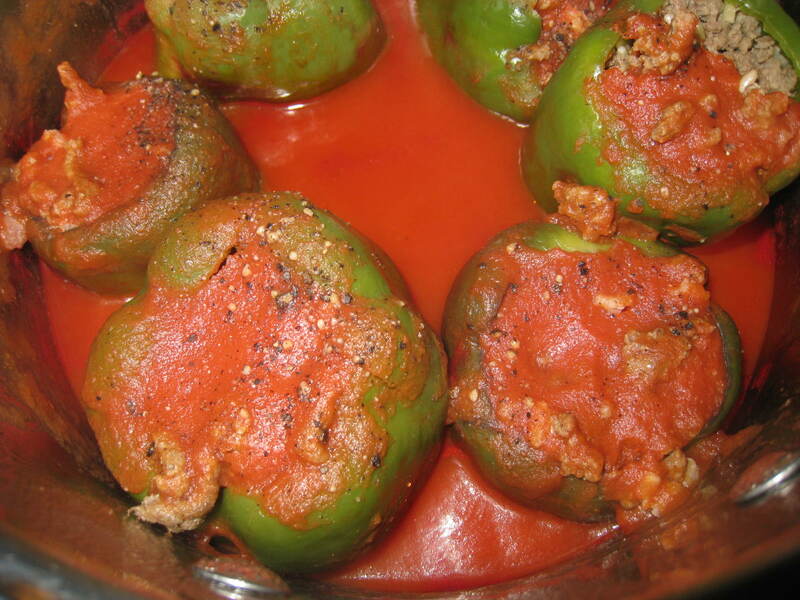 Arrange peppers in a large sauce pan and pour tomato sauce over. Cook on medium low heat for 30 minutes or longer.